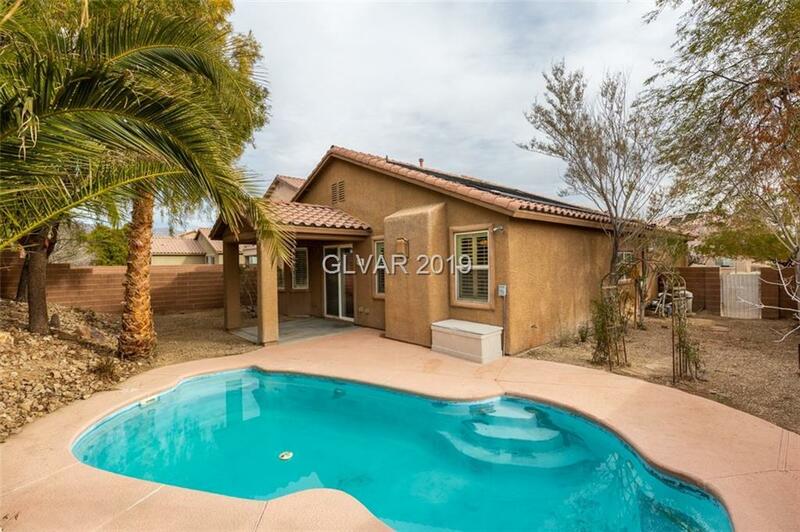 Beautiful 3 bedroom single story home + pool on a corner lot in Aliante. This home features an open, airy floor plan, laminate flooring throughout the main living areas, and a fireplace in the living room. The eat-in kitchen is adorned with granite counter tops and ample storage space. The generous master suite offers a dual vanity, tub, and separate shower. A spacious backyard is complete with covered patio and pool. Close to parks and the 215. Directions: Exti South On Aliante Pkwy From I215, East On Deer Springs, South On Swordbills, East On Saddlebill, Then South On Sand Swallow To The Property.